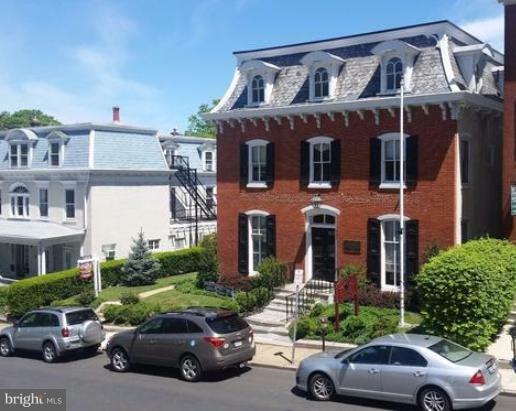 Prime location in Doylestown Borough for a professional office. Suite 204 is available for a professional who desires to be in a midtown location. Heat, electric, refuse removal, and water are included in the rental price. The approximate size is 12 x 13. The offices can be available furnished or empty. The historic building is adjacent to the Bucks County Court House with access to public parking, or just a short walk from the Bucks County parking garage. The location is also convenient to public transportation. Electric, heat, trash and snow removal are included in the rental amount. If you are looking for Doylestown office space, don't miss this practical opportunity! Make your appointment today.